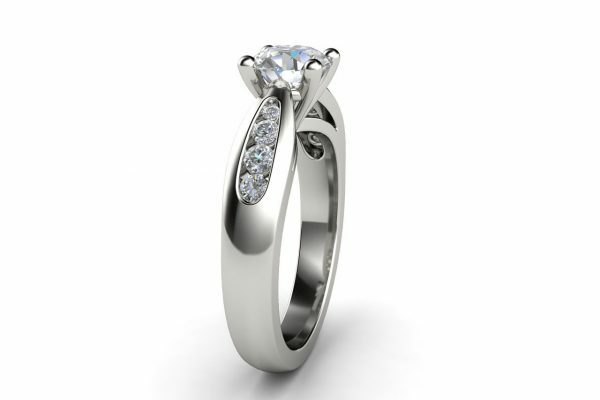 This classic engagement ring channel sides is set with 4 brilliant round diamonds on each shoulder. 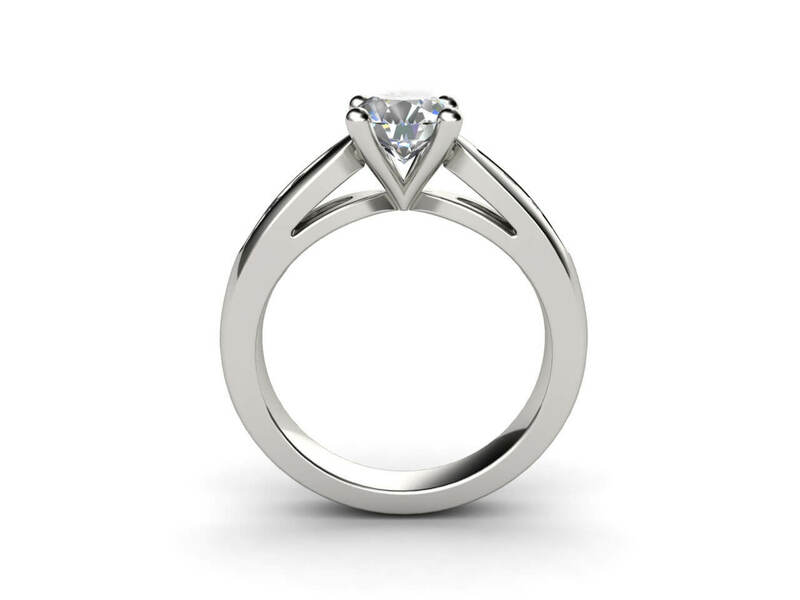 A central round stone is held by four strong claws. 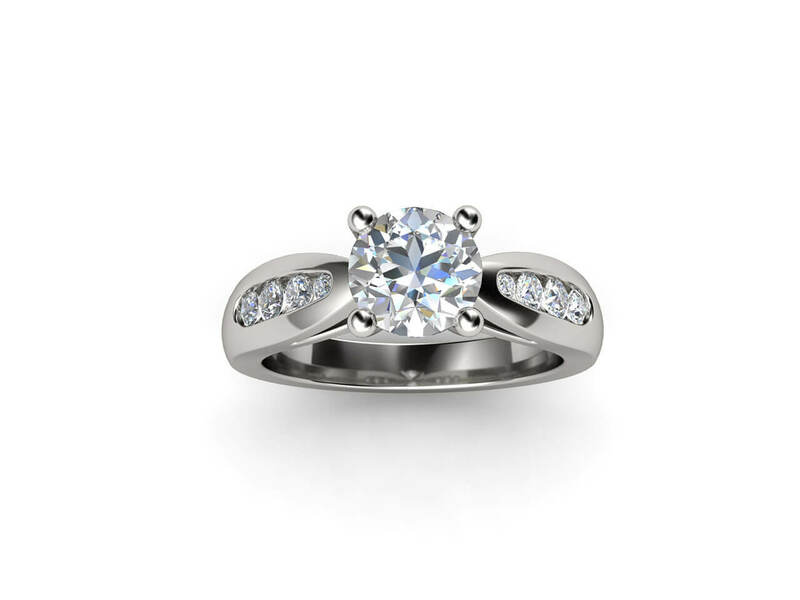 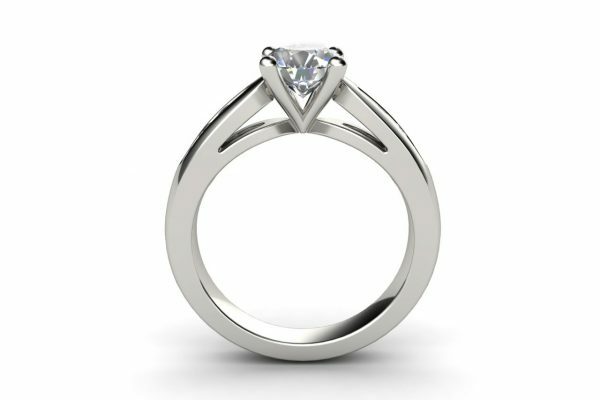 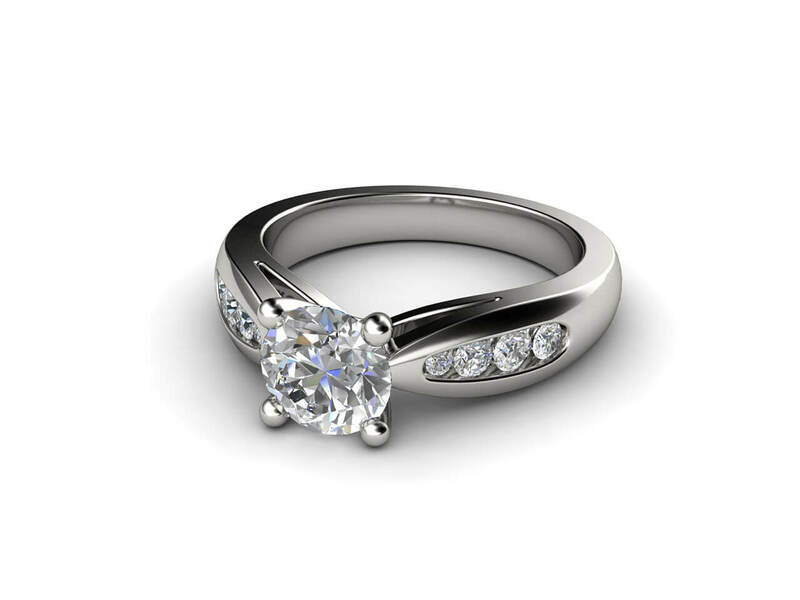 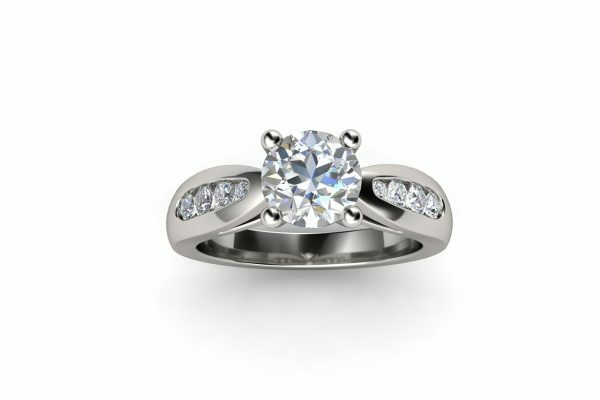 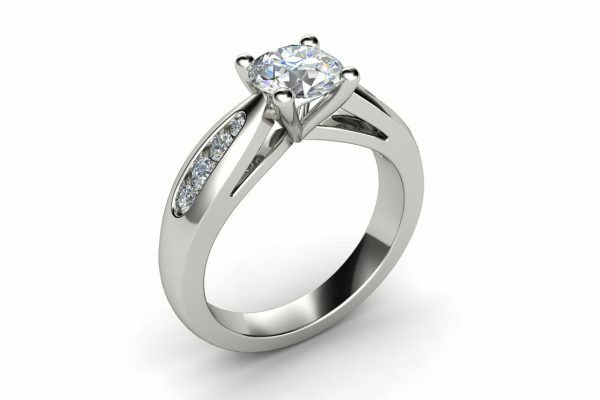 It can be custom-made with your choice of centre stone in gold or platinum. 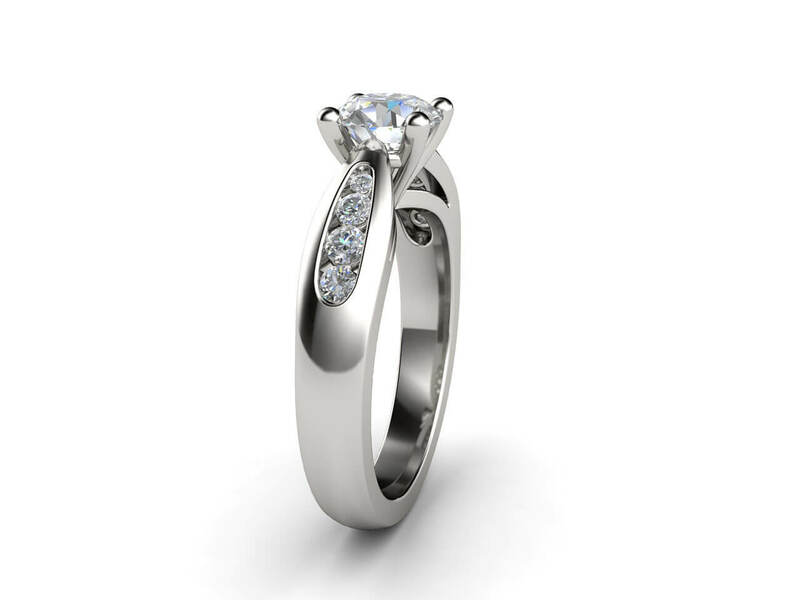 This ring can also be made in 18k yellow or rose gold band with white gold centre stone setting. 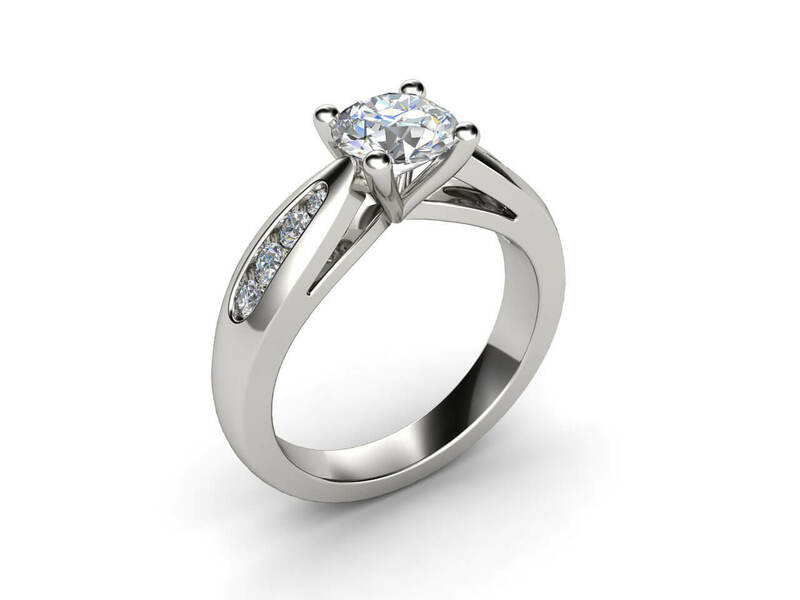 Weight side stones: 0.22ct aprox.